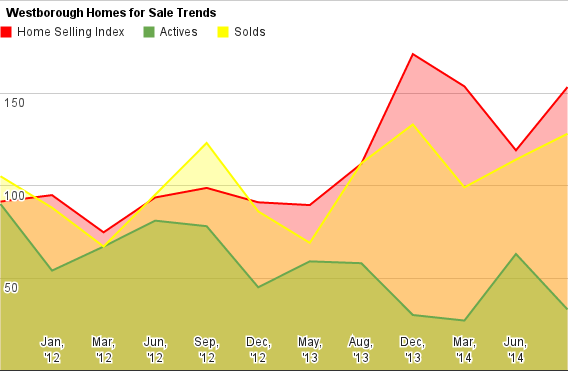 The Westborough market also looks tight, as homes sold all fall, and have left us with little to shop or sell. 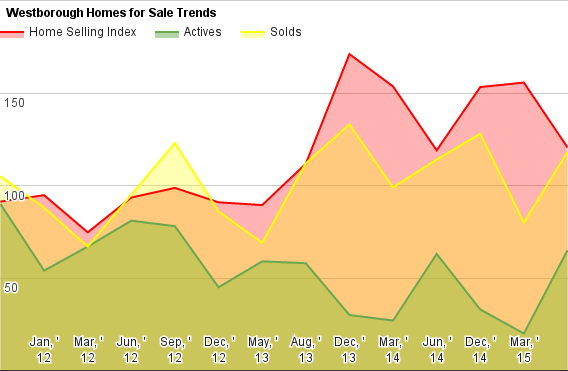 That's great for sellers, not so hot for buyers. Moving a little east, we check in with Upton's much larger neighbor, Westborough. 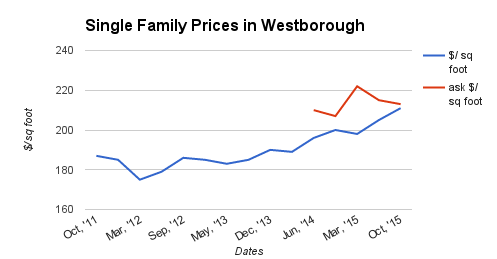 Westborough has gone on a bit of a run here, and prices have moved a bit up. 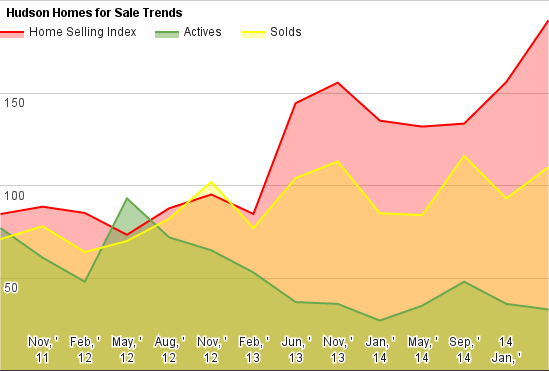 Westborough checks in with a bunch of encouraging sales data - yet the HSI is actually down, to 121. What happened? 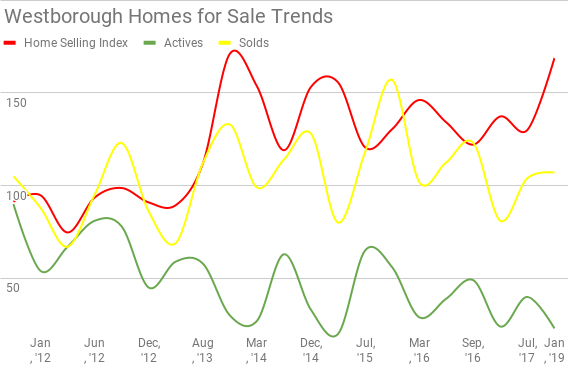 Let's check in with Westborough, and see if it remains hot.